On 15th September (day of the parade), the Metropolitan Police will be putting in place temporary traffic blocks on the roads that feed onto the route of the parade, while Putney High Street will be closed to traffic from 11.35am until approximately 12.15pm. In addition, there will be no entry from Putney High Street into Montserrat Road throughout the day of the parade, and a very limited number of parking bay suspensions. Soldiers from an army tank regiment with deep-seated roots in Wandsworth are to stage a homecoming parade next month and be awarded the Freedom of the Borough on 15th September. The 2nd Royal Tank Regiment (2RTR) will be conferred with the honour on Thursday, September 15 in light of its historical links with the borough. As part of the celebrations the regiment will conduct a homecoming parade through Putney and Wandsworth on that day, complete with their armoured vehicles and become the only regular army unit to be awarded the Borough’s Freedom. A Territorial Army unit, the London Regiment, which is based in Clapham Junction, was also accorded the honour in 1992. Around 250 officers and men from 2RTR, who have recently returned to the UK from their latest deployment in Helmand province, Afghanistan, will take part in the homecoming parade, which will set off from Wandsworth Park at around midday. Led by the band of the Life Guards, the parade will travel in a circuit along Putney Bridge Road, Putney High Street, Disraeli Road, Oxford Road and back to Wandsworth Park, where the Freedom of the Borough will be officially conferred upon them. The borough’s links with 2 RTR go back to 1916 when tanks were first deployed by the British Army during the latter stages of the Battle of the Somme. In the very first attack in which they were used, on the strategic French hamlet of Flers, the supporting infantry was the 10th Battalion, The Queen’s (Royal West Surrey) Regiment – a so-called ‘Pals battalion’ made up of men from Battersea. Following this, men of the 13th (Wandsworth) Battalion, the East Surrey Regiment, provided close support to tank units in the first mass armoured attack at the Battle of Cambrai in November 1917. 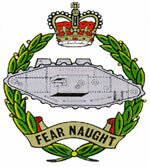 In the days leading up to the outbreak of World War Two, the 7th (TA) Battalion East Surrey Regiment (23rd London Regiment) - an infantry unit based at Clapham Junction, were formed into two tank battalions of the Royal Tank Regiment regiment - the 42nd Battalion (42 RTR) and the 48th Battalion (48 RTR). Both units served with distinction, in particular in the desert campaign in North Africa; Elements of 42 RTR took part in the decisive battle of El Alamein while 48 RTR took part in Operation Vulcan - the final decisive push to eject the enemy from north Africa. Equipped with Churchill tanks, half-tracks and armoured reconnaissance cars, 48RTR played a leading role in the bitter fighting that forced the surrender of all Axis forces in North Africa. More than 250,000 German and Italian troops were taken prisoner – twice the number captured by the Russians at Stalingrad. 48 RTR’s battle colours are now preserved at St Mary's Church in Battersea. After the war, both units were re-formed to create 2 RTR, which has since seen active service in Cyprus, Northern Ireland, Bosnia, Kosovo, Iraq and more recently Afghanistan. Its historical ties with the borough mean that the regiment continues to actively recruit its officers and men from the borough of Wandsworth. One of these men was 21-year-old Lance Cpl James Cartwright from Battersea, who was killed in Basra in southern Iraq in June 2007 when his Warrior armoured vehicle crashed during an operation to clear a safe route for a re-supply convoy to the main British base. On the day of the parade, the Metropolitan Police will be putting in place temporary traffic blocks on the roads that feed onto the route of the parade, while Putney High Street will be closed to traffic from 11.35am until approximately 12.15pm. In addition, there will be no entry from Putney High Street into Montserrat Road throughout the day of the parade, and a very limited number of parking bay suspensions.